Chelsea Handler will host the amfAR Inspiration Gala Los Angeles 2012 next week. The event will take place at Milk Studios in LA on October 11, and will feature cocktails and fashion, dinner and live entertainment. The Inspiration Gala will honor Kevin Huvane, with special guest Sarah Jessica Parker. There will also be a live performance by Katy Perry. Since its inception in 2010, the Inspiration series has been held in iconic cities around the world including New York, Los Angeles, Paris, and São Paulo. 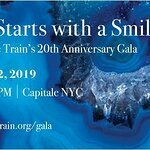 Participants and Honorees have included Ricky Martin, Sharon Stone, Sandra Bullock, Heidi Klum, Michael Kors, Francisco Costa, Fergie, Claire Danes, James Franco, and Marc Jacobs International. Performers at the events have included Grace Jones, Jennifer Hudson, Liza Minnelli, Sinead O'Connor, Debbie Harry, Courtney Love, Dita Von Teese, and Cyndi Lauper. To date, the Inspiration series has raised more than $5 million.